Members of Virginia Beach, Va., Lodge No. 2268 aren’t afraid to get their hands dirty for a good cause. 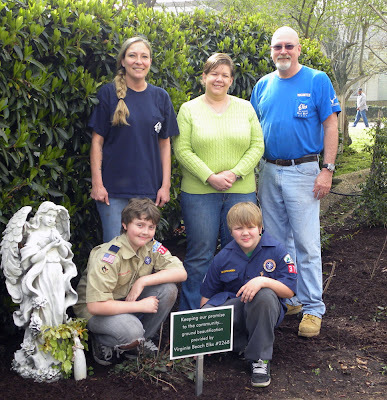 In partnership with a local Boy Scout Troop, the Lodge used an Elks National Foundation Promise Grant to refurbish a remembrance garden at the Edmarc Hospice for Children. 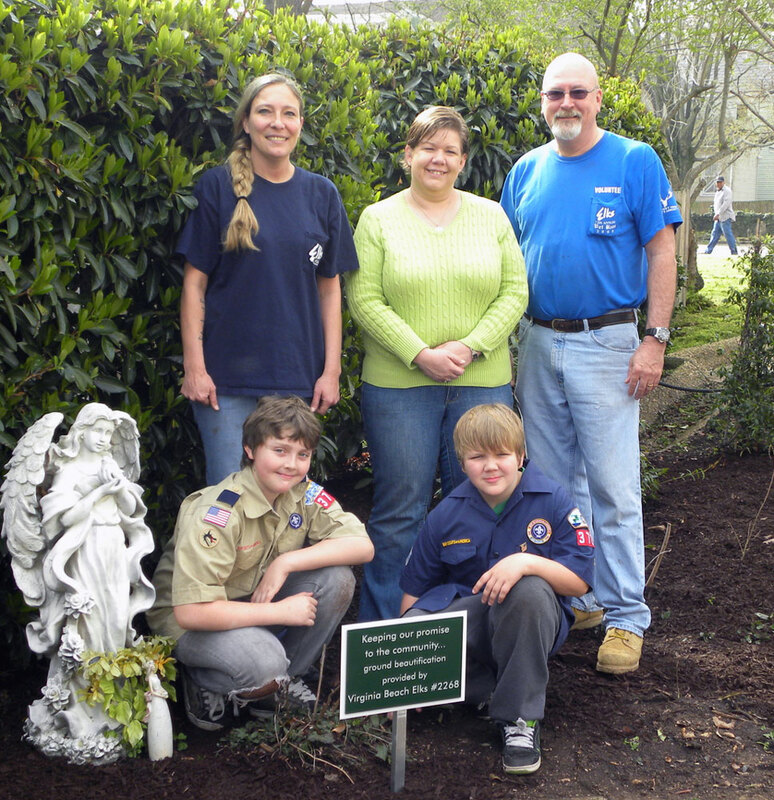 Elks and scouts worked side-by-side, raking, mulching, and planting flowers to create a beautiful outdoor garden space that patients can enjoy. The Lodge also entered pictures from the project—just like the one above—in last year’s Community Investments Program photo contest. It’s that time of year again! The 2012-13 CIP photo contest is happening now. If your Lodge has great pictures of Elks using CIP grants in the community, submit them to the ENF. You could win a brand-new digital camera! Click here for complete contest details. Don’t delay! Submissions are due by March 31.